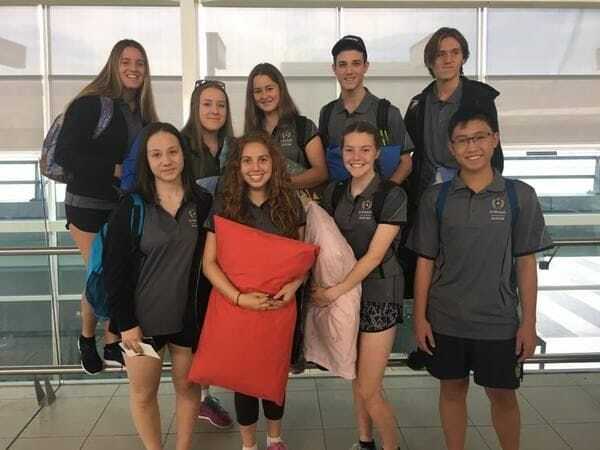 A group of enthusiastic students, staff and youth ministers from St Michael's College in Adelaide have given up some of their school holidays to work as volunteers in a fellow Lasallian school in the remote Kimberley region of Western Australia. The group of 14 volunteers have travelled to Luurnpa Catholic School where they will lead outdoor activities for the local Indigenous students, work on school maintenance projects and learn more about the culture and customs of the Kukatja people. In the lead up to the trip, St Michael's College youth ministers, Nadia Loprete and Calia Sandona lead a highly successful Balgo Drive at their old school. Each pastoral care classroom at St Michael's was given a box specially set aside for donated items, including clothing, sporting equipment, board games and basic toiletries to help disadvantaged youth in the remote WA community. The Adelaide Lasallian school has forged strong ties to Balgo over recent years with St Michael's students joining other students from La Salle College, Middle Swan in a similar immersion trip during the Term 3 break last year. St Michael's College Principal John Foley says students who have undertaken the immersion trip have spoken of the incredibly positive impact it has had on them and how rewarding it has been to work and experience daily life in a remote Indigenous community.